Building a loyal list that stays loyal to your brand or service allows you to push your products quickly. Have a Product that can Transcend Boarders? Email Marketing allows you to go beyond borders, targeting anyone around the world for your services and products. Email Marketing is a form of online marketing which utilises emailing as a way to promote products and services. This is done by building a list of people who might be interested in the industry or products being provided. By sending the user direct emails, you can personalise the email according to their indicated interests and sell them products through emails. 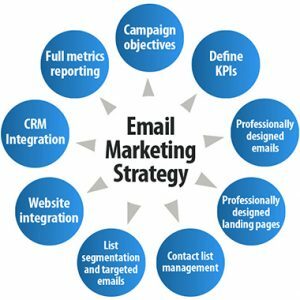 Email Marketing is one of the cheapest and most effective forms of marketing. However, building the list from scratch is something that can be difficult without knowing how to do so. Email marketing works like this. Imagine if you have 1000 people on your mailing list. By sending them an email, close to 90% will open and read it. Expecting about a 2% conversion, just by sending a single email, you can expect 20 people in your list to make a purchase. Easy as that. Whether you are using Email Marketing as a standalone service or integrating it with other services such as SEO, SEM or SMM, you’ll find that email marketing can complement any efforts. Email marketing is the best and most engaging way to interact with your clients. Use it to improve your return on investments (ROI). Email marketing has long been the best way to inform your current users about new updates. One email blast and everyone is aware of what is happening.